On 09 November ,1952,after the death of first president of Israel Chaim Weizman,Einstein was offered for the post of Prime Minsiter by Israeli Government but he refused them; Einstein refused this job because he thought he is too old for this job and he also don’t has enough experience and temperament for this job; Einstein was offered Prime Minisitership, because he was Jew and also very popular and respected among the Jewish people. It is very weird and interesting, but it is 100 % true, Einstein never wore socks in his whole life, because for him socks were a pain and because they often would get holes in them and he was also of the view that, why wear both socks and shoes, when one of them would do just fine? Most of the people think that Einstein was just a theoretical scientist, but not many people know that, he had a very good grip on practical knowledge about science; According to research Albert Einstein invented a refrigerator after writing his famous Special theory of Relativity, but unfortunately his invention never got into production because new technology made it obsolete. According to latest research, Einstein had an intimate love affair with his girl friend Mileva Maric in late 1890’s ,just before there marriage Milea Maric found herself pregnant and they decided to hide their illegitimate girl; Einstein married her after one year,when he got patent job. We don’t know what exactly happened to their daughter but it is believed that their illegitimate girl Lieserl either died after suffering from scarlet fever at an early age or she survived the scarlet fever and was given up for adoption. 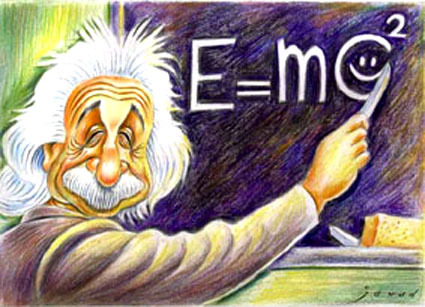 This is a common notion among People that a student who fails in school exams or tests is not intelligent, but not many people know that, Geinus of 20th century, one and only Albert Einstein failed early school entrance exam, because of language and culture sections, but he became an extraordinary scientist in the future which proofs that traditional school tests don’t always show how you’ll do in life.